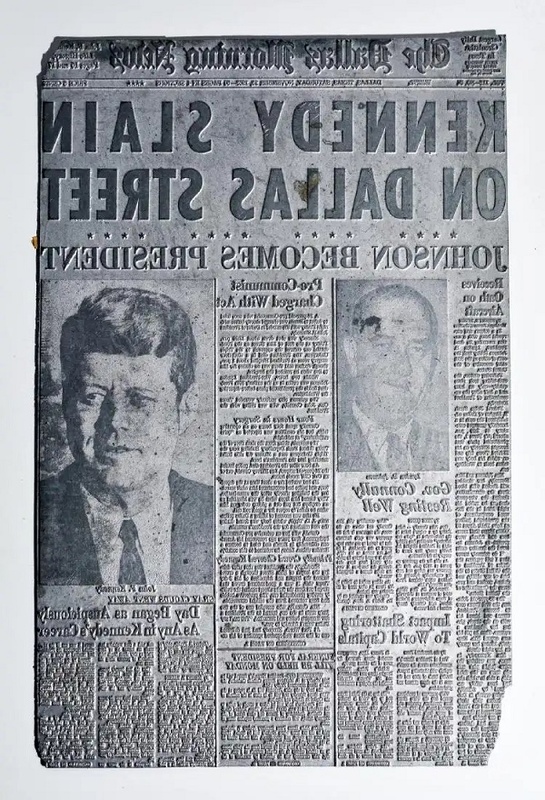 The original printing plate from the Dallas Morning News announcing the death of John F. Kennedy is heading for auction at Guernsey’s next week. 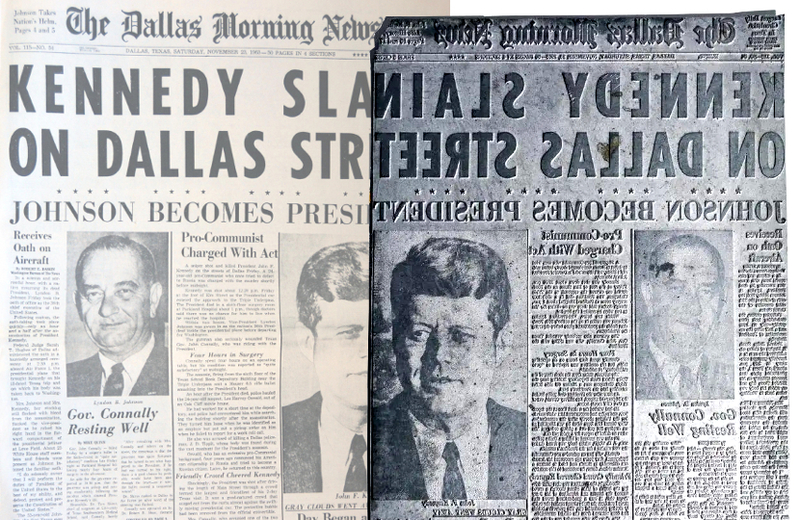 The unique metal plate, dated Saturday November 23, 1963, features the headline “Kennedy Slain on Dallas Street” and images of both Kennedy and the incoming President Lyndon Johnson. Original copies of that morning’s edition have since become collector’s items – but this is the original plate from which they were all printed. It is expected to fetch $6,000 – $8,000 when it hits the block on February 20 as part of Guernsey’s two-day ‘Collector’s Odyssey’ auction. 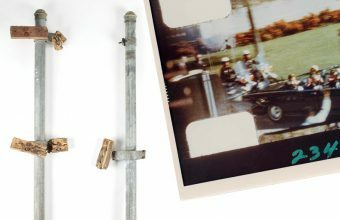 The head office and printing plant of The Dallas Morning News were located just four blocks from Dealey Plaza, where Kennedy was shot at 12.30pm on November 22. He was pronounced dead 30 minutes later, and as the tragic news spread like wildfire, editors at the Dallas Morning News scrambled into action. The next morning’s edition featured stories on Kennedy’s death, the emergency swearing in of Lyndon Johnson on board Air Force One, the injury to Dallas Governor John Connally and the arrest of “pro-Communist” Lee Harvey Oswald. The cover plate was produced by the steerman at the paper, whose job it was to pour the molten metal into the impression mold. Traditionally these metal plates were melted down and re-cast for the following day’s paper – but in this case, the steerman asked to keep it as a memento of the historic event. He then gifted the plate to his son who was away studying at university, and it has remained in the same family’s collection ever since. 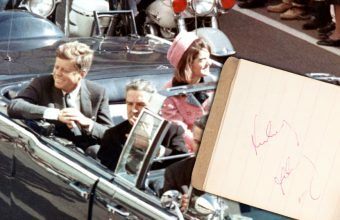 Elsewhere the Guernsey’s sale includes a wealth of Kennedy memorabilia such as letters, signed checks and financial documents from the estate of Thomas J. Walsh, who spent more than 25 years as the Kennedy family’s accountant and remained close to JFK throughout his presidency. 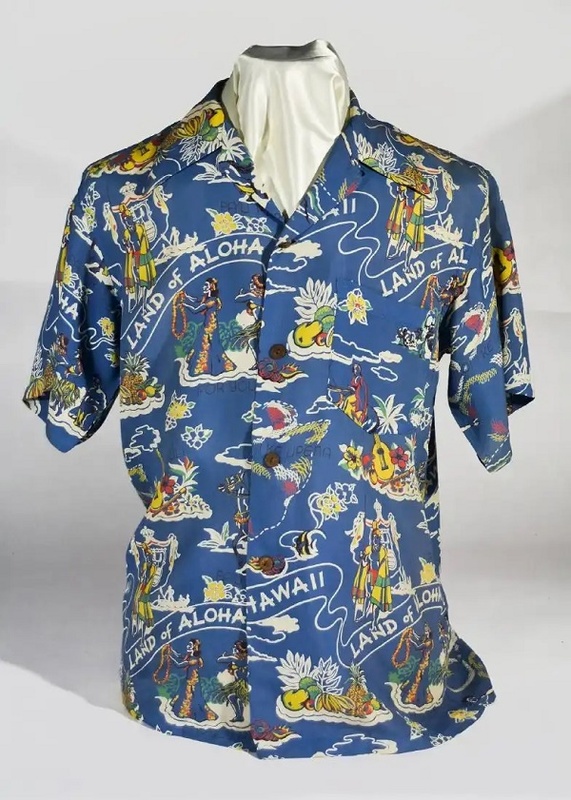 The most notable item is a colourful Aloha shirt originally owned by Kennedy, and gifted to Walsh in 1962. During one meeting with Kennedy at the family’s holiday home in Palm Beach, Florida, Walsh found himself without any suitable poolside attire, and was given the shirt to wear in the sweltering heat. 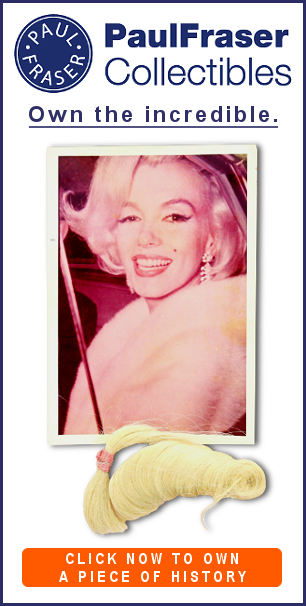 It remained in his possession for decades, and is now offered from his estate with an estimated value of $15,000 – $20,000. 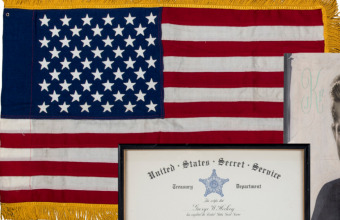 The sale also features several signed letters from Kennedy to Walsh, and further personal letters from Jackie Kennedy, to whom Walsh served as both an advisor and a confidante after she left the White House.